Welcome to Spring (or Autumn for we in the south) and the March New Moon. We are now in a veritable ‘tide’ of light moving toward, and culminating in, the Equinox in three weeks. I am in preparation for a in-flow of the Rose Ray that will be initiated on that day. For hearts cleared and open, anchored in their innate birthright of self-worth, this will be a profound opportunity to embrace pure Source Love deeper than ever before on this plane. Hold fast to that which you know to be true in your soul. Be your utmost integrity. Let the spirit of integrity spread from the centre of the Rose of your Hearts. Thus, and only thus, do we connect in Truth, unfiltered by the shadow play. Let us be One, and walk the soul of truth, the voice of truth, the love of truth, into the greater human family. Let every word, every gesture, flow from the centre of the Rose, Divinity unmarked. In its centre we are One, inviolable. Thus the Councils hold their accord through the decision frames, lest they become division frames. The Core IS. The Centre holds, the Hearts remain anchored. The energy of Chai* flows as one movement through ALL. This, humanity moves toward Now. This, we fuse into Mother’s grid, superceding forerunner programmes. Faith is the key that fits the keyhole, allowing our Love incursion. *’Chai’ is Hebrew for the number 18, which means ‘Life’ or ‘alive’. We are so Loved. Let’s have faith in ourselves, and Know we are worthy of all light, abundance and joy. (If you didn’t see it in a previous post, the Purple Flame Activation technique in the Practices section of Heart Star is a useful aligning ‘lead-in’ to the Equinox/Rose Ray). 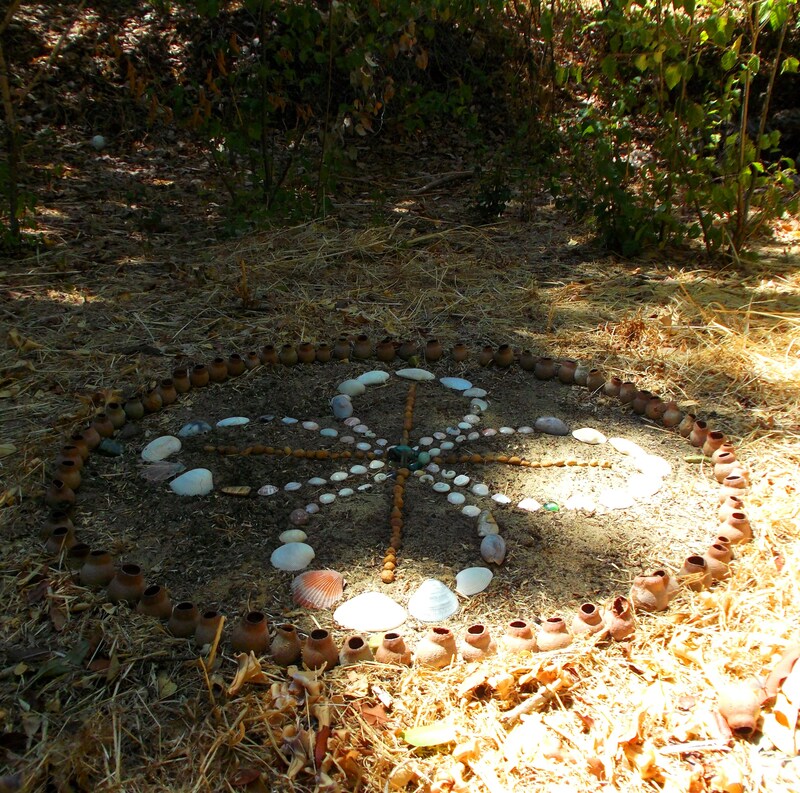 For those of you interested in the progress of the Sacred Circle activation taking place in the beech grove in my garden, with the assistance of star family, particularly Ashtar and Sesherat, here’s an update. Sacred Circle in the beech grove in my garden. If you saw the previous post, I included a photo of Ashtar, with head and shoulders semi-materialized next to the Sacred Circle (a four-petalled double Infinity symbol made of shells and crystals with an emerald ‘heart stone’). Since then, several star people have semi-materialized in the grove, and this evening, while in communication with Ashtar, an Orb of his energies appeared sitting eloquently in the heart centre of the Sacred Circle. (see photos below). The sky is full of stars, my friends, and many of them are moving! Who are ‘extra-terrestrials’ when star people walk on the earth with us? Feel us as one great family, united in Love, and united we then Are. 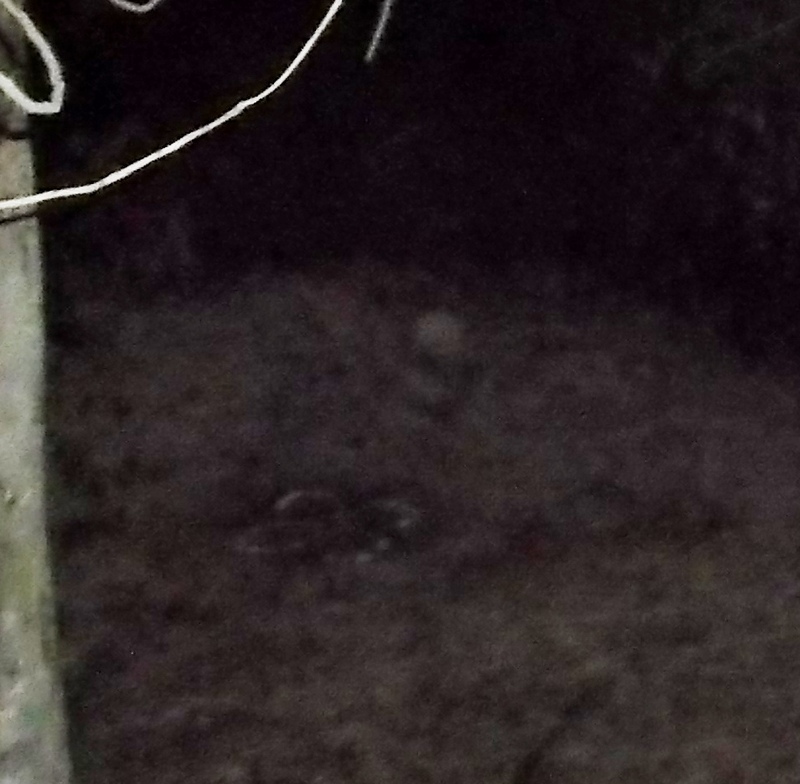 Photo Feb 16, 2014: Ashtar semi-materialized to right of the Sacred Circle; head, shoulders, upper chest visible. 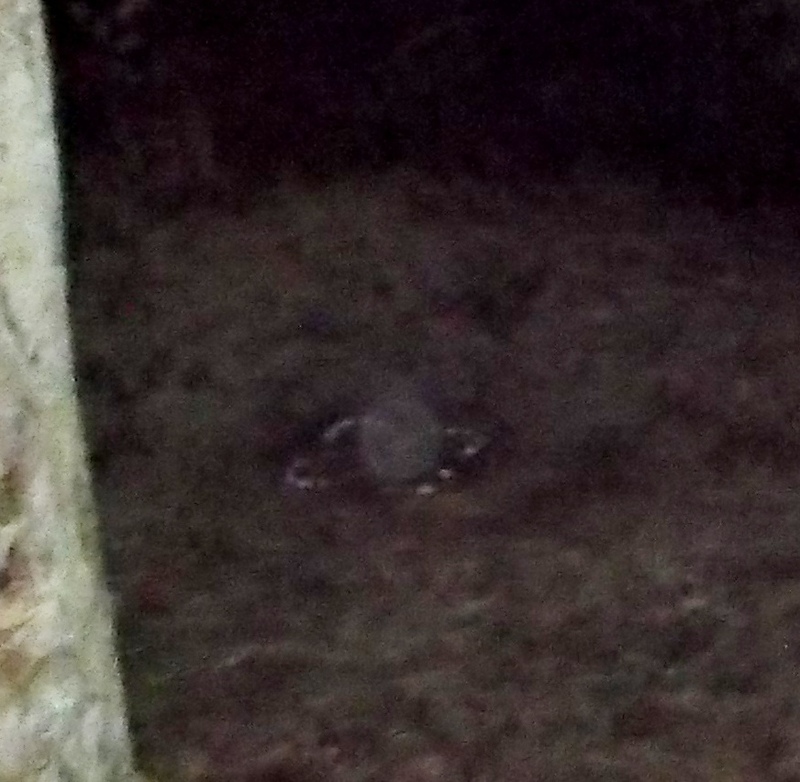 Photo March 1, 2014: Ashtar’s orb sitting in the centre of the Sacred Circle. For those of you interested in names and the vibrations they carry and radiate, I will end this post with a note about the name Ashtar. In the higher realms, names are truth, and carry the signature of the Essence of a being (they do in 3D too, but subject to filtering and distortions of this density). 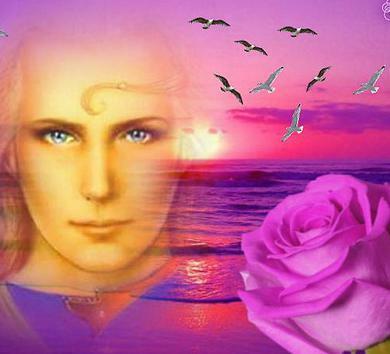 As Ashtar is one of the Beings at the forefront of the Love incursion into Earth at this ‘hour’, by agreement of the Galactic Councils, you may like to feel into the vibration of his Essence more deeply. Firstly, Ashtar is a shortened form of Ash’Ta’Hura, although the ‘tar’ has meaning also. Intuition took me first to ‘tar’, and a novelist I read back in the 1980s, Judith Tarr. On looking up her booklist, the first that appeared was Spear of Heaven. That took me to the father god of Norse myth, Odin, whose spear (of the heavens) was made from the wood of the Ash tree. The Ash, in Norse myth, is Yggdrasil, the World Tree, the tree of the cosmos, with its roots deep in the core of the earth, its crown in heaven, its branches the paths to different ‘realms’/dimensions. To the druids, the Ash tree, Nuin, held together the earth and sky, and was the energy of transition between the worlds, between inner and outer. Among the Celts, it was connected to renewal and resurrection energies. They considered ash the cradle of life, protector of youth and children. In Irish myths (the Irish god Lugh also had a spear of ash, like Odin). ‘Tar’ in Irish meant ‘come’ and ‘As’ meant ‘from’. Tar in the word Tarot, from Egyptian, means ‘royal’ (tarot=royal road), and Tarot has been esoterically equated with the Book of Thoth. Thoth, in Egypt and Atlantis, was one of Ashtar’s incarnations – or another of this oversoul’s soul aspects. 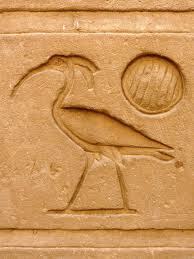 His symbol as Thoth, the Ibis, is ‘Akh’ in Egyptian (an Angelic form of the word ‘Ash’) and akh translates as ‘magically effecting’, ‘magically effective one’. ‘Ta’ in light languages means base, foundation or land. Egyptian history and its imprint in myths is too complex to go into here, except to say here that Ashtar had three incarnations in Egypt, as the first Horus/Hor-Ar (there were two beings named Horus, in different ‘time’ periods – ‘hor’ from hr in Egyptian, became Horos in Greek, hora in Latin, meaning ‘hour’ or ‘time’), Thoth/Djehuti, and the historian Manetho. In the myths, when Horus (the second) battled Set and his left eye was put out (his left eye was the moon and right was the sun) it was Thoth who gave him a new lunar eye. Condensing the above, feel into this purpose: One who comes from the Tree of Life, protector of its children, spear of Heaven (that which thrusts through the Divine Light), magically effecting resurrection, transition between worlds at the appointed Hour, bringing ‘heaven’ to ‘land’. This entry was posted in Angels, Arcturians, Ascension, Ashtar, Ashtar Command, Dimensions, Gaia, Mythology, Orbs, Sacred Geometry & Math and tagged Ashtar, Bi, channeled messages, Egyptian gods, Egyptian myths, Galactic Federation, galactics, gods, Horus, Lugh, Norse gods, Norse myths, Odin, star family, Thoth by Joanna. Bookmark the permalink. I have been on a spiritual journey over the last 3 years, and was recently gifted the most beautiful “rose cross” / “double infinity” symbol necklace. I have been pondering the significance behind it, since it was an extremely expensive piece of jewellery which was given to me for a mere $60. I have also been praying to Djehuti for the last 3 years, and have been pointed towards the most enlightening information regarding our planet’s current phase of evolution. To discover that Ashtar, (a name that came to me last year while drawing in my sketchbook), is related to my dear Thoth is nothing short of a miracle. I don’t usually reply to anything I find online, but I had to thank you for this article, as it has helped me to discover that I am truly being guided by an entity with love and relevance beyond my original comprehension. 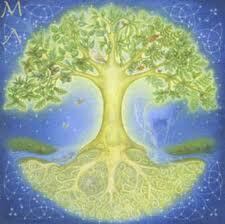 Dear Jordan, thanks very much for sharing about your soul journey and experiences with Djehuti/Thoth/Ashtar. He is indeed a loving and relevant being… 🙂 Wishing you all joy and continued opening, like a Rose Cross, infinite and eternal. Love and blessings, Joanna.